There’s a chill in the air and sweater weather is well on it’s way. 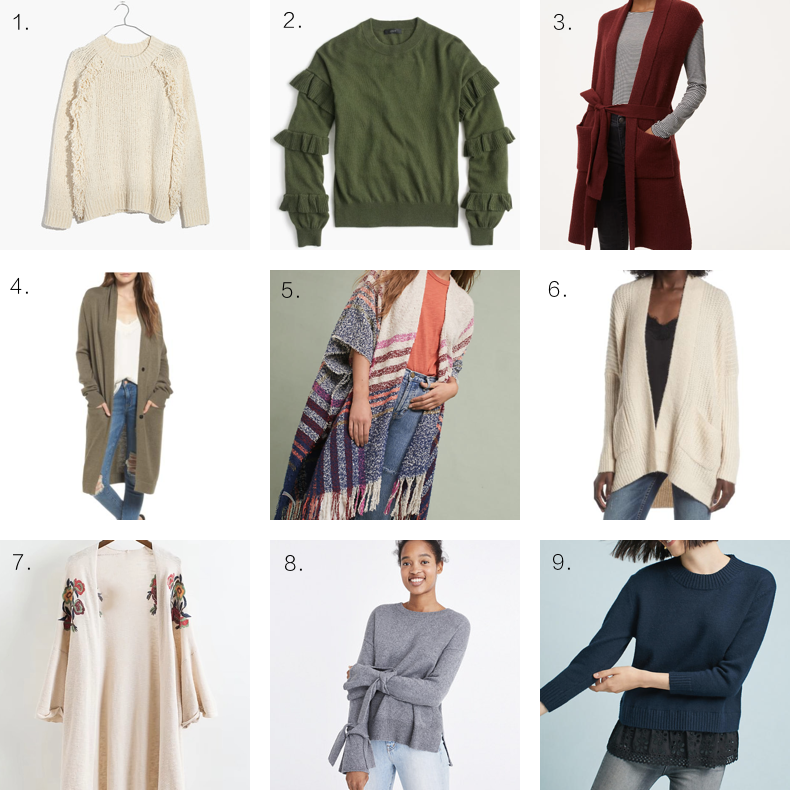 I ordered this cardigan from the Nordstrom Anniversary Sale and I’ve found myself throwing it on around the house this past week, it’s an absolute dream! I’ve gathered more favorites that I’ve come across over the past few weeks, any of which I’d take in a heartbeat. Embroidered cardigans, plaid kimonos and ruffled sleeves. Thoughtful details that I’m always looking for in my sweaters. Not to mention the beautiful shades that all of a sudden have me eager for fall. I’d love one of each, but what’s your favorite?